» Are Humans Herbivores Or Meat Eaters? Find Out Now! ​Every animal has their perfect diet. 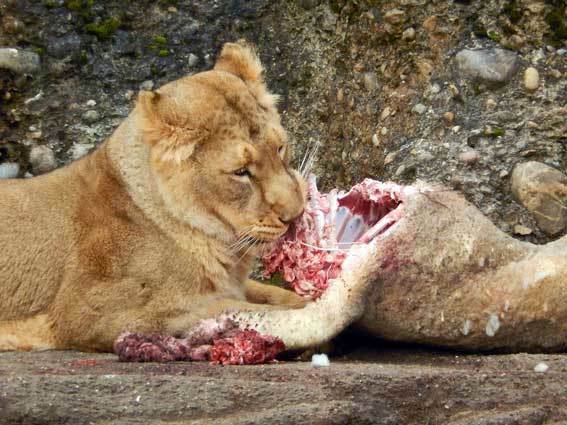 Carnivores like lions or cats need to eat meat to thrive.Their anatomy makes them capable of ingesting meat without a problem. Other animals like horses, cows, or elephants, feel best when they eat a plant-based diet. But somehow when we talk about humans, this rule doesn't seem to apply. Many believe that humans are carnivores or omnivores. But if you look at the evidence, it is clear that we are herbivores, not meat eaters. There are some striking differences between carnivores and herbivores. Humans have short, soft fingernails and small “canine” teeth. Carnivores have sharp claws and large canine teeth that are capable of tearing flesh. Their jaws move only up and down, requiring them to tear chunks of flesh from their prey and swallow them whole. When the jaw of a carnivore closes, the blade-shaped cheek molars slide past each other. This creates a slicing motion that is effective for shearing meat off the bone. Their incisors are short, pointed and prong-like and used for grasping and shredding. Humans and other herbivores can move their jaws up and down and from side to side. This allows us to grind up fruit and vegetables with our back teeth. Our anterior teeth are not suited for tearing flesh. ​There are also striking differences between our intestines. Animals who hunt have short intestinal tracts and colons. It's about three to five or six times the body length.This allows the meat to pass through their bodies quickly before it can rot and cause illness. Humans’ intestinal tracts are much longer than those of carnivores of similar size. Our intestines allow the body more time to break down fiber and absorb the nutrients from plants. Meat begins to rot while it makes its long way through human intestines. This process may increase the risk of developing colon cancer. The saliva of carnivorous animals does not contain digestive enzymes. Therefore carnivores do not chew their food. Instead, they bite off huge chunks of meat and swallow them whole. ​Find out some natural remedies you can use to treat cancer. Click here to read more. Herbivores need to chew their food to break plant cell walls and mix it with saliva. The saliva in plant eaters often contains carbohydrate-digesting enzymes that break down the food. The most common object that causes choking in humans is meat products. ​Carnivores also have different stomachs than herbivores. Carnivores have a huge stomach. It represents 60-70% of the total capacity of the digestive system. These animals kill about once a week. A large stomach volume is helpful because it allows them to eat as much meat as possible at one time. During the week they rest and digest the food. A carnivore's stomach also secretes high levels of hydrochloric acid. Their gastric pH is around 1-2 even with food present. This allows them to break down the protein and to kill the bacteria often found in decaying meat. Our stomach acids are much weaker in comparison. This is because we don't need strong acids to digest fruits and vegetables.The process of breaking down plant-foods is more complicated. Therefore herbivores have far longer and more elaborate guts than carnivores. Plants contain a high proportion of cellulose. Bacteria need to digest it so we can absorb the nutrients. Herbivores can't store lots of food in their stomach and need to eat several times each day. ​Humans also have also no instinct to kill animals. ​Most people have a hard time looking at blood and gore. If we were meant to eat meat then why have we such a hard time looking at clips from slaughterhouses? Put a mouse in a room, and most people will freak out while a cat gets excited. Carnivores like cats can hear or smell things that humans can’t. If we were carnivores then why don't we have claws to catch our prey? Our hands are much better at picking berries or vegetables. Why did nature give other carnivores these abilities but not humans? Humans have no fat or protein receptors on the tongue as carnivores.Try eating meat without any spices, and it will taste like cardboard. ​Meat can make us sick and cause more cancer and heart disease. Carnivores like cats don’t get heart attacks or gallstones when they eat meat as humans do. Animal products contain cholesterol and saturated fat. These things make us sick and clog our arteries and create gallstones. If you give the same things to a herbivore like a rabbit, they also get heart problems. It’s unhealthy and unnatural for humans to eat meat. Eating a plant-based diet lowers your risk of heart disease. Humans started domesticating cattle only 10,000 years ago. Until recently, only the wealthiest people could afford to eat meat. Before the 20th century, only the rich had diseases such as heart disease and obesity. ​Discover why meat causes cancer. Click here to read more. More people can afford animal products because of factory farming and other subsidies. Our rates of heart disease, strokes, cancer, diabetes, and obesity have also gone up the roof. When humans consume animal protein, we get more colon, breast, and prostate cancer. ​Many people believe that we need dairy to stay healthy. Learn why this assumption is not only wrong but also dangerous. Humans are the only animal that drinks another species milk.To create milk, the dairy farmer first takes sperm from a bull then inseminates the cow with a special tool. The farmers separate the child from its mother within 24 hours after its birth. The calves spend their first ​two to three months of life confined in lonely hutches. Their diet consists of a milk replacer while humans drink the milk intended for them. That is a strange way nature intended for us to get milk. The faster animals grow the more protein they need. Cow's milk is an ideal food to grow a calf from its 60-pound birthweight to 600-pounds. Milk products are one of the leading contributors to excess body fat in humans. 75% of the world's population is lactose intolerant. If it is our preferred food then why do so many have problems digesting it? ​​But you need milk to build strong bones? 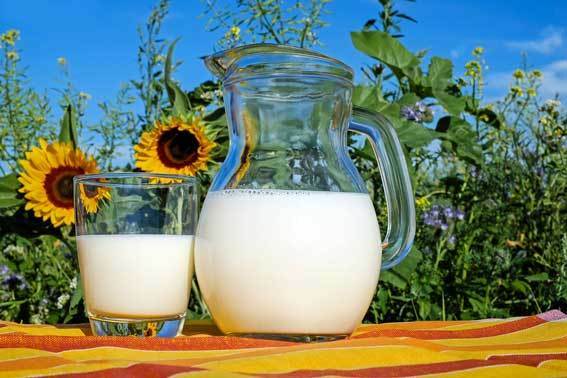 Learn why dairy can weaken your bones and cause more fractures. ​For example, Bantu women in Africa consume no dairy products at all. They only take in about 250 to 400 mg of calcium each day through plants. That is about half of the recommended daily intake of calcium in the U.S. These women often have ten children each and breast-feed every child for about ten months. Even if they eat a diet with no dairy products and breastfeed, they still have strong bones. Osteoporosis is almost unknown among these women. ​Find out why dairy can increase your cancer risk. Click here to read more. Calcium comes from the soil. 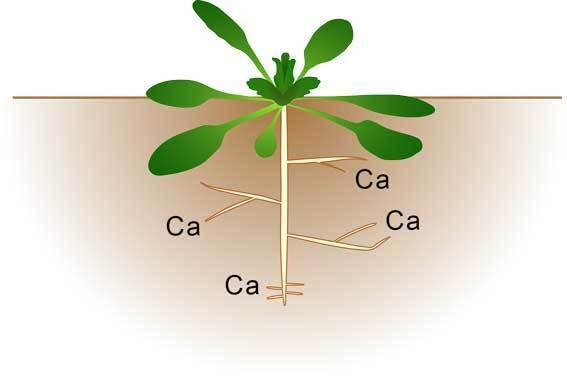 Plant roots then absorb the calcium from the earth. Humans can get plenty of calcium the same way it gets into cow's milk; from the plants they eat. Calcium isn't the only nutrient that affects bone health. Potassium and magnesium may be even more critical in preventing bone loss. ​Plants are excellent sources of these nutrients. ​Another myth many people believe is that we need meat to get enough protein. Discover why this theory is false and why you can get sufficient protein on a plant-based diet. Contrary to common belief, plants contain all the protein we need so long as we eat enough calories per day. We don’t need to eat animal products to stay healthy. Plants are rich sources of protein. Huge herbivores like elephants, horses, rhinos, and gorillas are not protein deficient. They are one of the strongest animals on earth. Many people believe that plants don't contain enough protein and that you need to get if from meat. But that is a myth that started in 1971. At that time Frances Moore Lappé wrote the book "Diet for a Small Planet." Lappé believed that plant protein was incomplete. She suggested that vegetarians needed to combine various plants to prevent protein deficiencies. Lappé retracted this statement in a revised edition of this book. There are plenty of sources of plant proteins like beans and soy. Plants produce protein not animals. Carnivores get protein from the plants herbivores ate. So why not skip the middle man and get protein from its source? ​But plants don't contain B12 so we must be carnivores? One thing people often mention when discrediting a plant-based diet is B12. B12 comes from bacteria, not plants. Just because you need to find it in other places than plants doesn’t mean that we are carnivores. We need air to get enough oxygen to survive. But no-one uses it as a way to discredit a plant-based diet. Or that we need vitamin D from the sun. You can get B12 from untreated water or dirt. 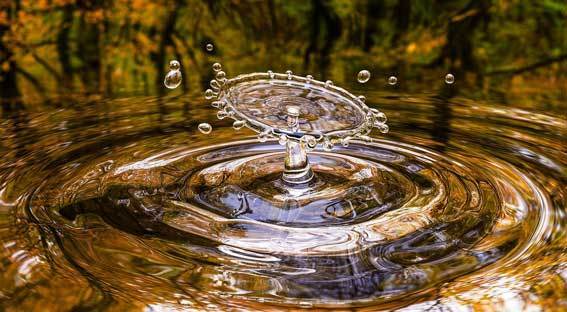 When wastewater treatment plants kill off the bacteria in the water, we can no longer get B12. Therefore you need to supplement with B12. ​We are herbivores even if we can't get B12 from natural sources right now. The longest living populations ​in the world also eat a plant-based diet. There are about five places in the world called the Blue Zones where people live the longest. The diet in the Blue Zones is for the most part plant-based. Some of these Blue Zones rarely have meat. At most, they eat meat once a week or on special occasions. All Blue Zones consume a primary starch-based diet. 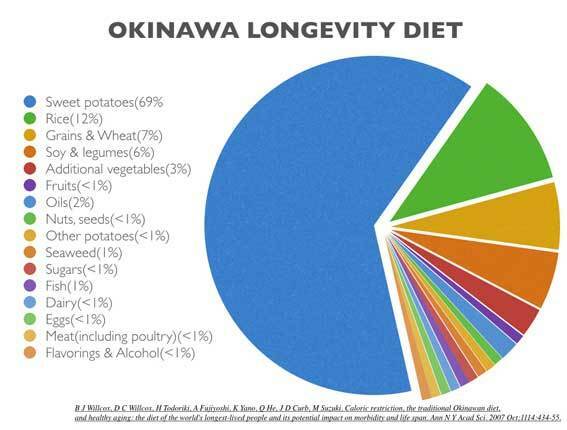 The traditional diet in Okinawa consisted of vegetables, beans, and other plants. Less than 4% of their food contained meat, and dairy products. ​Sadly the newer generations are not as healthy as previous generations. They eat more fast foods than previous centenarians. Both their levels of saturated fat and cholesterol increased. Learn ​more about the Blue Zones in this blog post. Click here to ​read it. If humans are carnivores then why aren't meat-eating populations among the oldest in the world? 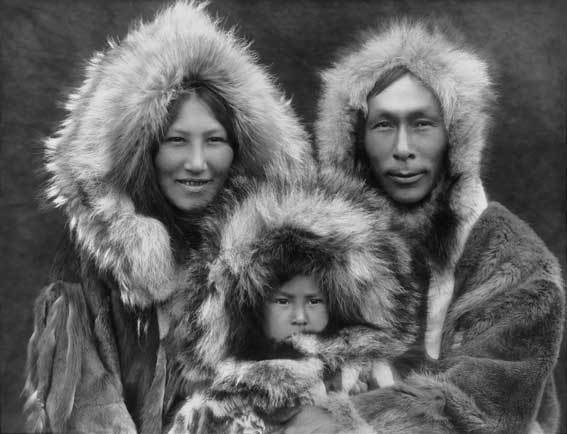 Many low-carbers claim that Inuits or Eskimos were free of heart disease. But Inuits have as much heart disease as non-Inuit populations. Inuit life expectancy in Greenland is about ten years shorter than the Danish population. We have found mummified remains of Inuits dating back 2,000 years. They had extensive hardening of the arteries throughout their brains, hearts, and limbs. Their low-calcium diet and lack of sunshine also lead to their high rate of osteoporosis. Inuits have enlarged livers and produce more than average volumes of urine. They also get infected by parasites as a result of eating raw and infected meat. The Maasai is a nomadic tribe in southern Kenya and northern Tanzania.They eat lots of meat, including the organs, and big amounts of blood. Paleo advocate Cordain says that the Maasai are healthy and do not suffer from heart disease as we do. The Maasai do not suffer heart attacks because they do not live long enough to experience one.They live only forty to fifty years, on average. The Maasai often die from infectious diseases. An autopsy study of fifty Maasai revealed as much heart disease as elderly American men. All healthy populations throughout history have eaten a starch-based diet. So are humans herbivores? It's obvious after looking at the evidence that humans are herbivores, not carnivores. Herbivores and carnivores have different anatomies. ​The longest living people on earth eat starchy vegetables. ​We can get enough protein on a plant-based diet. ​Humans are the healthiest when they avoid animal products and eat a plant-based diet. ​In this blog post, we answered the question "are humans herbivores?". Hopefully, after looking at the evidence, it should be clear to you that you need to eat plants, not meat. So how do you successfully convert to a plant-based with the least amount of work? First, you need to educate yourself about plant nutrition before you can begin. It is much easier to convert to a plant-based diet when you learn the basics and avoid common mistakes. We've created an extensive plant nutrition and diet guide. It explains everything you need to know to succeed on this diet. Learn about the difference between macronutrients and micronutrients. After you've read this guide throw away all your animal products and junk food. This step will make your journey much easier. Learn some new recipes and then start eating a healthy plant-based diet.